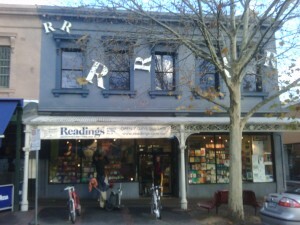 The lovely Alan Brough has kindly agreed to host the launch of Blood Witness at Readings in Carlton. Alan will introduce the book and conduct a short interview. I will also read a brief extract from the novel. Drinks will be provided and of course I'll be happy to sign copies of the novel.